The Rockets seem to have offense figured out, already top five in the league. Defense, however, is another story. Soundly beating the New York Knicks last night helped the Houston Rockets ease the pain of losing a close one to the Cleveland Cavaliers the night before. What hurt about the loss in Cleveland was not that the team didn’t score enough points (they scored 120 against the defending champs, which is pretty freaking good). It was that they allowed a whopping 128 to be put up by their opponent. Granted, they were playing a superteam. LeBron James and company are a scary bunch. But allowing seven players on the other team to shoot 50% from the field or better is unacceptable. The Rockets have no chance of being an elite defensive team, but it will behoove them to figure out how to be somewhat effective on the non-scoring end of the floor. Some writers, like Jason Concepcion of The Ringer, though, think the Rockets would be better off continuing to ignore defense. In a curse-laden almost satirical article, he argues that Houston’s best shot at regaining relevance would be to focus purely on scoring. Who knows? Maybe he has a point. James Harden would probably like the idea. To say that D’Antoni doesn’t care about defense is unfair; rebounds, turnovers, and steals are fuel for fast breaks. It’s more accurate to say that, while he cares about it, he hasn’t cared about it enough to craft a defensive philosophy to match his offensive one, or to create a detailed system beyond, “Hey, stay in front of your guy.” D’Antoni’s Suns basically played man-to-man defense and used Raja Bell and Shawn Marion to plug the most egregious gaps in the levee. There were leaks abound, but it didn’t really matter. The Suns were there to outscore you. If the Houston Rockets listened to The Ringer’s advice and focused purely on offense, they’d have the right personnel. As USA Today’s Michael Singer writes, James Harden is the perfect man to run Mike D’Antoni’s offense. The Beard currently averages a double double and leads the league in assists, so the pair clearly works well together. [Harden’s] numbers, though, were ruthlessly efficient (13-of-20 on field goals) and deadly from three-point range (5 of 9). Perhaps most impressively, he had just one turnover while setting up his teammates time and again. Harden, known as a ball-dominant player for the past few seasons, showed serious basketball acumen in threading pocket passes to cutting big men or whipping behind the back bounce passes for easy finishes. 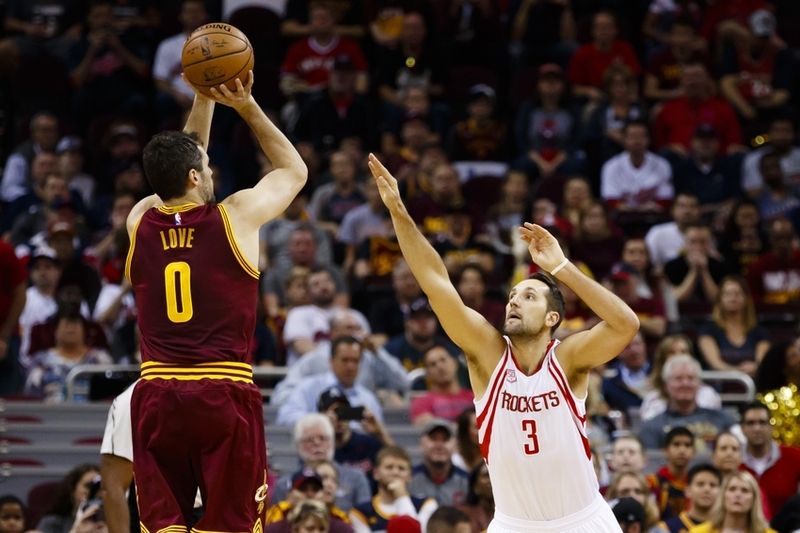 When the Cavs sagged on defense or lost him in transition, he gladly found space to shoot a three-pointer. D’Antoni is famous for making the most of what players he’s given, and so far he’s done that with new Rocket Nene. Averaging almost ten points per game on 70% shooting, the big man has been more productive than anyone expected him to be. According to Jonathan Feigen of the Houston Chronicle, he even has the green light to fire away from beyond the arc. He’s 1-1 on the season from long range, so it’ll be interesting to see if he’ll have the confidence to shoot that shot consistently. The Rockets get a rest now, with their next game taking place on Saturday against the recently departed Dwight Howard. The Atlanta Hawks haven’t lost a game yet this season, so Houston’s defense (and offense, for that matter) will have their work cut out for them. Keep up with SCS for updates on how/if the Rockets address their consistent defensive lapses in the coming weeks. The Rockets have been unpredictable over the past couple of years, so there’s no telling how it will be handled. Either way, they’ll continue to put points up on the board.